Today, the United Nations Special Rapporteur on Human Trafficking Maria Grazia Giammarinaro is presenting her final country report of recommendations for the US government on how to combat trafficking in persons. These recommendations centralize the knowledge gathered from experts around the country, giving opportunities at the state and federal level to make progress in the fight against human trafficking.  Last December the Freedom Network USA worked with the US Human Rights Network and its members to help shape the visit to the United States, sharing stories and recommendations from our members’ extensive experience working with survivors of human trafficking. We are encouraged to see many of these lessons reflected in the Special Rapporteur’s report, and hopeful that this will lead to progress in the fight against human trafficking. In these recommendations, the Special Rapporteur noted the importance of looking at human trafficking in every area of labor, asking the US to “Increase investigation and prosecution of cases involving labor trafficking cases, including in the hospitality, agriculture, and construction industries.” This echoes a long-standing call from the Freedom Network USA to focus on labor trafficking which only made up 2% of prosecutions in 2016. Expanding labor protections and enforcement of these workplace standards is the cornerstone of fighting exploitation. The Special Rapporteur called on the government to increase public awareness about labor trafficking and pass legislation which raises labor standards to address these deficiencies. The recommendations also highlighted the precarity of migrants in the United States to trafficking and exploitation. The report critiqued the current approach to migration, pointing out how “detention of irregular migrants, the temporary placement and return of unaccompanied migrant children, and the temporary, non-immigrant visas tying migrants to single employers” create conditions ripe for human trafficking. Temporary visa programs in particular create situations where exploitation is rampant. “The structure of temporary work visa programs places migrant workers at the mercy of a single employer for their job and presence in the U.S. – that is, they cannot change jobs if they are mistreated. If they do leave the job, they become deportable,” describes Policy Co-Chair Meredith Stewart. Immigration reform, access to immigration relief and protecting unaccompanied minors are all steps which can be taken immediately to remedy these staggering vulnerabilities.